This street bears the name of Louis Lepic. He was a high-ranking French General born in the Montpellier region in the south of France on 20 September 1765. The General's name appears with those of many of his contemporaries on the east face of the Arc de Triomphe in Paris. 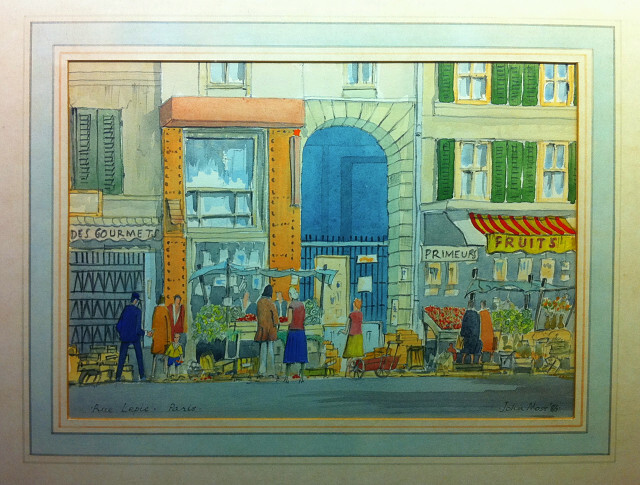 My Grandfather, the watercolour artist in retirement painted this snapshot of the street in '86. It's awaiting it's rightful place on a wall.